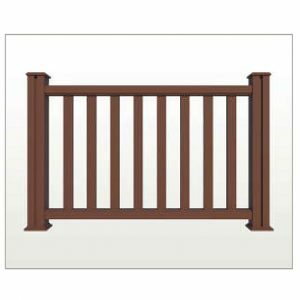 Teranna Railing is Easy to Install & Maintain Composite railing is an innovative product that acts as a perfect alternative to traditional timber railing that requires a lot of work in order to maintain its attractive appearance. TERANNA composite railing is an environmentally friendly product thanks to its raw material composition of recycled wood and plastics and provides an attractive yet durable surface for a range of domestic and commercial applications. TERANNA composite railing is available in two colours: Graphite and Dark Brown. The surface of the composite boards are grooved on both sides. 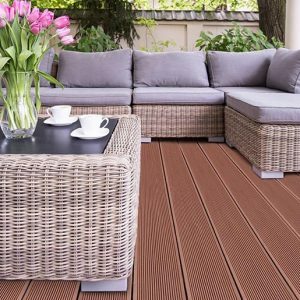 With grooves running lengthwise along the boards, draining water from the surface of a terrace is done quickly and efficiently. 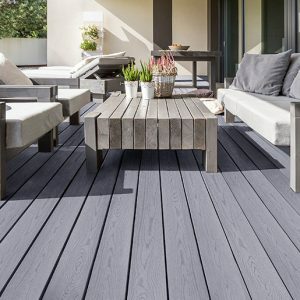 You can walk on terrace composite boards without slipping even when they are wet. Due to their non-slip surface, the boards work as safe and effective finishing of terraced stairs and platforms.